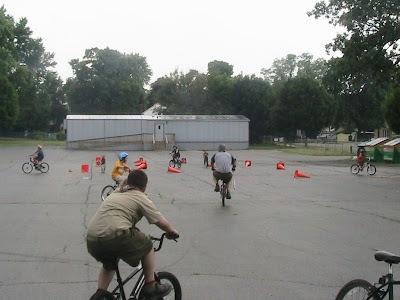 After finishing their food, the boys promptly got back on their bikes, and attempted to ride the bike course. 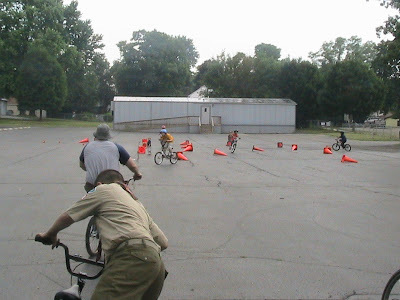 WELL, the ended up knocking over all the cones. I knew what Brent's reaction would be, so I had to get a few pics of it. 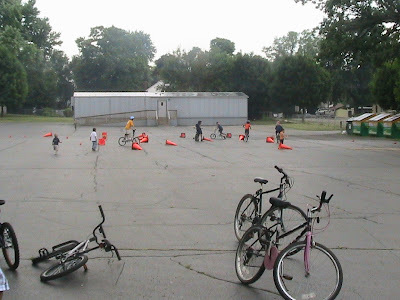 See how all the cones are knocked down. He wasn't too happy about it, but did a good job of getting over it. Sorry they knocked down your cones, sweetie! Only funny if you've seen Wedding Singer. Who had more fun, the big kid Brent on a small bike or the kids. I dont know. But i am glade to see everyone had fun.